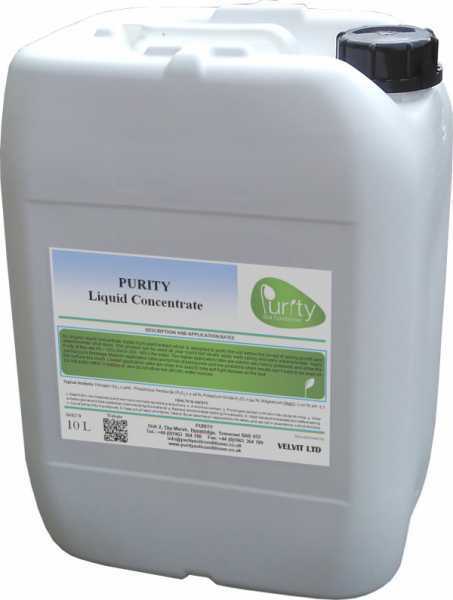 PURITY is a special all new organic soil conditioner made from plant extract which is designed to purify the soil before the onset of spring growth and autumn/winter shut down. The aim of PURITY is to provide the soil with a building block of organic matter, which will stimulate all available nutrients to release steadily over a 6‐8 week period, whether retained or applied by use of an NPK fertiliser. Promotes the establishment of Fescues, Bents and Rye grasses. PURITY can be used all year round but we recommend application in early spring and early autumn/winter. Application rate 80 ltrs per hectare in 500-600L of water.